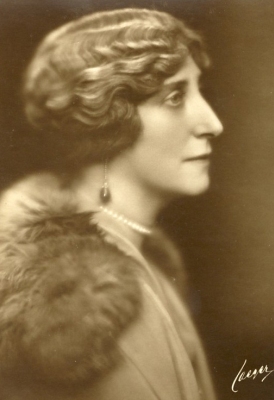 Lady Isabella Marshal was born on 9 October 1200 at Pembroke Castle, Pembroke, Pembrokeshire, WalesG. She was the daughter of William Marshal, 1st Earl of Pembroke and Isabella de Clare, Countess of Pembroke.2 She married, firstly, Gilbert de Clare, 4th Earl of Gloucester, son of Richard de Clare, 3rd Earl of Hertford and Amice FitzRobert, on 9 October 1217 at Tewkesbury Abbey, Tewkesbury, Gloucestershire, EnglandG.3 She married, secondly, Richard, 1st Earl of Cornwall, son of John I 'Lackland', King of England and Isabella d'Angoulême, on 30 March 1231 [13 Mar 1230/1 O.S.] at Fawley Church, Fawley, Buckinghamshire, EnglandG.3,4 She was also reported to have been married in 1214. She died on 17 January 1240 at age 39 at Berkhamsted Castle, Hertfordshire, EnglandG, jaundice contracted while in childbirth.3 She was buried at Beaulieu Abbey, Beaulieu, Hampshire, EnglandG.3 She was buried at Franciscan Friars Minors, Oxford, Oxfordshire, EnglandG. From 9 October 1217, her married name became de Clare. [S12] C. Arnold McNaughton, The Book of Kings: A Royal Genealogy, in 3 volumes (London, U.K.: Garnstone Press, 1973), volume 1, page 510. Hereinafter cited as The Book of Kings. [S213] Unknown author, "unknown article title," European Royal History Journal: volume 8.1, page 21. 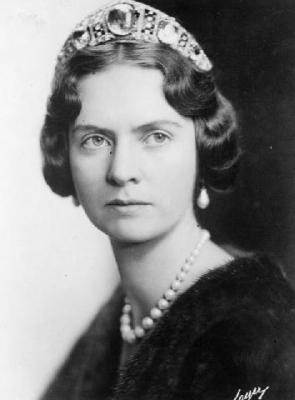 Astrid Sophie Louise Thyra Bernadotte, Princess of Sweden was born on 17 November 1905 at Stockholm, SwedenG.3 She was the daughter of Oskar Carl Vilhelm Bernadotte, Prince of Sweden and Ingeborg Charlotte Caroline Frederikke zu Schleswig-Holstein-Sonderburg-Glücksburg, Princess of Denmark.1 She married Léopold III, Roi des Belges, son of Albert I, Roi des Belges and Elisabeth Gabriele Valérie Marie Herzogin in Bayern, on 4 November 1926 at Stockholm, SwedenG, in a civil marriage.3 Astrid Sophie Louise Thyra and Léopold III were also married in a religious ceremony on 10 November 1926 at Brussels, BelgiumG.1 She died on 29 August 1935 at age 29 at Küssnacht, SwitzerlandG, killed in a car accident.3 She was buried at Château de Laeken, Brussels, BelgiumG. [S12] C. Arnold McNaughton, The Book of Kings: A Royal Genealogy, in 3 volumes (London, U.K.: Garnstone Press, 1973), volume 1, page 287. Hereinafter cited as The Book of Kings. 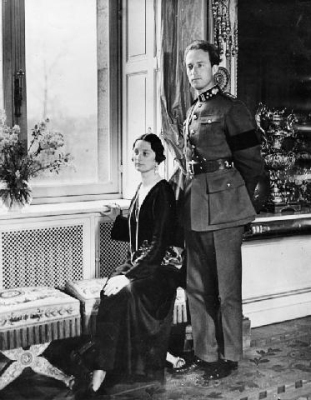 Léopold III, Roi des Belges was born on 3 November 1901 at Brussels, BelgiumG.3 He was the son of Albert I, Roi des Belges and Elisabeth Gabriele Valérie Marie Herzogin in Bayern.4 He married, firstly, Astrid Sophie Louise Thyra Bernadotte, Princess of Sweden, daughter of Oskar Carl Vilhelm Bernadotte, Prince of Sweden and Ingeborg Charlotte Caroline Frederikke zu Schleswig-Holstein-Sonderburg-Glücksburg, Princess of Denmark, on 4 November 1926 at Stockholm, SwedenG, in a civil marriage.3 He married, secondly, Mary Liliane Baëls, daughter of Henri Baëls and Anne Marie de Visscher, on 6 December 1941 at Château de Laeken, Brussels, BelgiumG, in a civil marriage.3 Léopold III and Astrid Sophie Louise Thyra were also married in a religious ceremony on 10 November 1926 at Brussels, BelgiumG.4 Léopold III and Mary Liliane were also married in a religious ceremony on 11 September 1941 at Château de Laeken, Brussels, BelgiumG.4 He died on 25 September 1983 at age 81 at Woluwe-Saint-Lambert, BelgiumG. He was buried at Château de Laeken, Brussels, BelgiumG. [S3] Marlene A. Eilers, Queen Victoria's Descendants (Baltimore, Maryland: Genealogical Publishing Co., 1987), page 204. 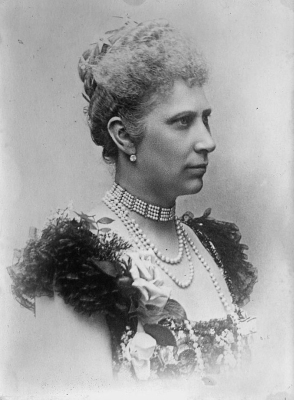 Hereinafter cited as Queen Victoria's Descendants. 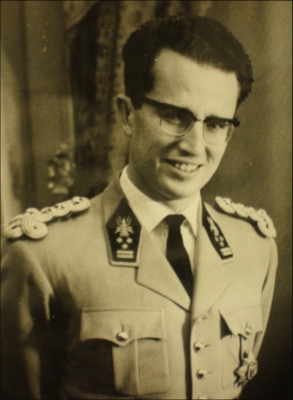 Baudouin I, Roi des Belges was born on 7 September 1930 at Château de Stuyvenberg, Brussels, BelgiumG.3 He was the son of Léopold III, Roi des Belges and Astrid Sophie Louise Thyra Bernadotte, Princess of Sweden.4 He married Doña Fabiola de Mora y Aragón, daughter of Don Gonzalo de Mora y Fernández, Marques de Casa Riera and Doña Blanca de Aragón y Carillo de Albornoz, on 15 December 1960 at Brussels, BelgiumG.3 He died on 31 July 1993 at age 62 at SpainG, from a heart attack while on holiday. [S12] C. Arnold McNaughton, The Book of Kings: A Royal Genealogy, in 3 volumes (London, U.K.: Garnstone Press, 1973), volume 1, page 288. Hereinafter cited as The Book of Kings. Carl XVI Gustav Bernadotte, King of Sweden was born on 30 April 1946 at Haga Castle, Stockholm, SwedenG.2 He is the son of Gustaf Adolf Oscar Frederik Arthur Edmund Bernadotte, Hereditary Prince of Sweden and Sibylla Calma Marie Alice Bathildis Feodora Prinzessin von Sachsen-Coburg und Gotha. He married Silvia Renate Sommerlath, daughter of Carl August Walther Sommerlath and Alice Soares de Toledo, on 19 June 1976 at Storkyrkan Cathedral, Stockholm, SwedenG. 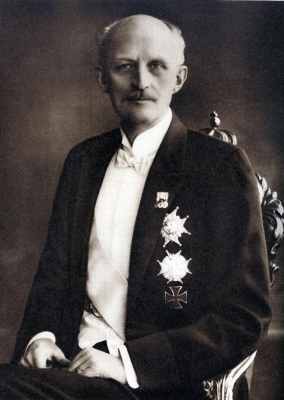 He was given the name of Carl Gustaf Folke Hubertus at birth. 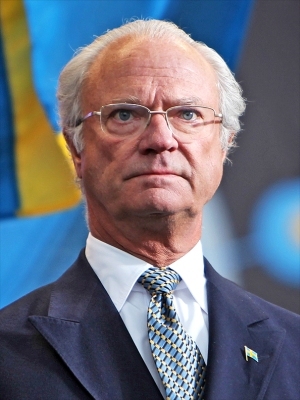 He gained the title of King Carl XVI of Sweden on 15 September 1973. 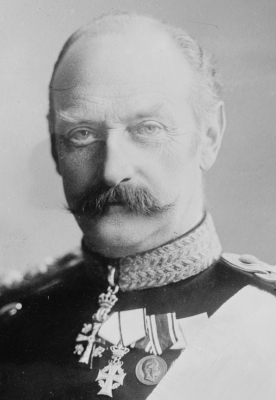 Frederik VIII zu Schleswig-Holstein-Sonderburg-Glücksburg, King of Denmark was born on 3 June 1843 at Copenhagen, DenmarkG.3 He was the son of Christian IX zu Schleswig-Holstein-Sonderburg-Glücksburg, King of Denmark and Luise Wilhelmine Friederike Karoline Auguste Julie Prinzessin von Hessen-Kassel.4 He married Louise Josephine Eugènie Bernadotte, Princess of Sweden, daughter of Carl XV Bernadotte, King of Sweden and Louise von Nassau, Princess of the Netherlands, on 28 July 1869 at Stockholm, SwedenG.1 He died on 14 May 1912 at age 68 at Hamburg, GermanyG.3 He was buried at Roskilde, Copenhagen, DenmarkG.